Its doors temporarily open to visitors, Qatar’s upcoming National Museum has welcomed hundreds of curious guests in the past few weeks. The museum is offering tours to Culture Pass members before it closes at the end of this year for exhibition installation. It will officially make its public debut in December 2018, which is at least two years later than originally planned. Located across from the Corniche near the Museum of Islamic Art, the National Museum has been designed to look like a desert rose growing out of the ground. Designed by architect Jean Nouvel, and is made up of several interlocking discs that mimic the crystal formation. According to visitors, the concept has made for a unique interior, in that it does not consist of one large space for exhibitions. This will likely lend to some creative curation. There is also little natural light. However, restaurant seating is slated to be outdoor and will face the sea, tour operators said. Eventually, the 40,000 sq meter structure will include 8,000 sq meters of permanent exhibition space and a further 2,000 sq meters for temporary, rotating exhibitions. The centerpiece of the National Museum was restored in 2015. It is the palace of the former ruler and “father of modern Qatar,” Sheikh Abdullah bin Jassim Al Thani. Al Thani lived in the palace until it became the country’s former National Museum in 1975. The National Museum will also house a 220-seat auditorium, two restaurants and a cafe, two shops, a food forum, a research center and laboratories and a park with indigenous plants, Qatar Museums previously said. Have you seen it yet? Thoughts? The massive Doha Metro project appears on track to begin testing trains this December, new photos of construction progress suggests. Last week, Qatar Rail posted pictures on social media of some of the 37 metro stations currently under construction. At some stops, glass facades, sweeping roofs and elegant vaulted ceilings could already be seen in place. Qatar Rail also shared images of the roof structure of three of its above-ground stations – Al Wakra, Ras Bu Fontas and Economic Zone. The fiberglass roofing panels have a look of sand dunes about them. The first phase of the Doha Metro is set to open to passengers at the beginning of 2020. Qatar Rail appears determined to stick to this timetable, despite the impact of the months-long GCC blockade. Commenting on the installation of external glass panels at one station, the company acknowledged supply chain issues caused by the Gulf crisis, but said it was forging ahead. In a statement this week, the company added that it recently moved a key component of the metro network from Dubai to Doha. Relocating the Building Automation & Control System (BACS) center allows work to continue unaffected by regional politics. By the end of this year, Qatar Rail is aiming to complete three “pilot” stations on the Red Line. They are Al Qassar, which is part of Red Line North underground; Al Doha Al Jadeda, which is part of Red Line South underground; and the Economic Zone, one of the elevated stations on the Red Line South. Officials previously said that they aim to finish 70 percent of the project by the end of this year. This includes laying all track, taking delivery of the first four driverless trains and awarding operator contracts. Testing the trains is also expected to begin by year-end. More than 52,000 people are working to ensure the public transport systems opens to passenger traffic in two years time. A portrait exhibition about Afghan girls who have taken up skateboarding will make its regional premiere in Qatar this week. The Skate Girls of Kabul series was taken by award-winning photographer Jessica Fulford-Dobson in 2013. It debuts at the QM Gallery (Building 10) in Katara Cultural Village on Thursday, July 20. The exhibition is based on the story of Skateistan, a local charity that set up skate parks for kids in Afghanistan. There, it is taboo for girls to ride bikes, but not necessarily skateboards. “It’s hard not to think of Afghan girls skateboarding as a remarkable and quirky clash of cultures. But when you see these girls in their beautiful, bright, flowing clothes tearing around the skate park, often yelping and shrieking with laughter, your preconceptions drop away. The exhibition has also been seen in London and New York, winning awards both times. It is now coming to the Middle East for the first time. 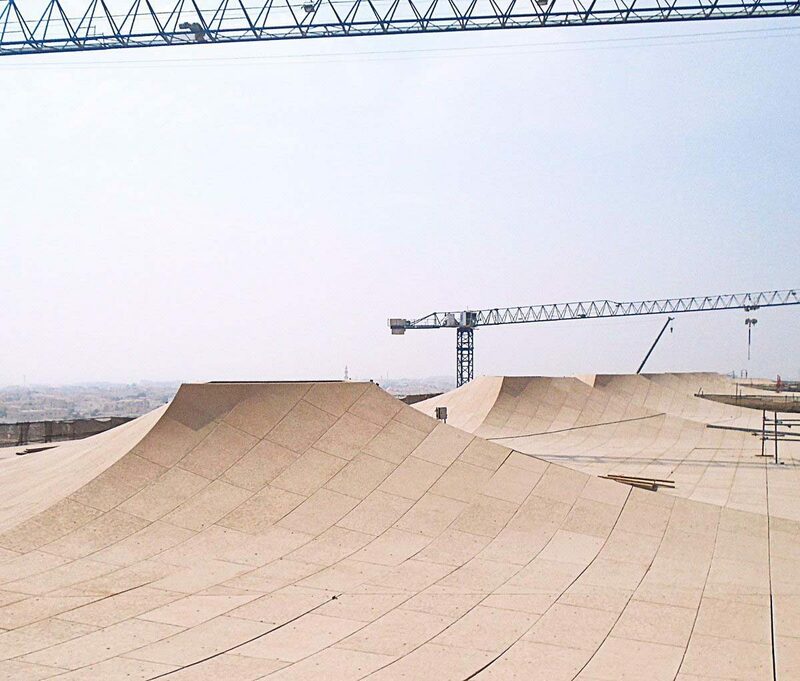 As a nod to the series, Qatar Museums announced that it will open a skate ramp to the public for the duration of the exhibition, which runs from July 20 to Oct. 21.